"When I first met Davy for CBT in August I had never ridden a bike before and who would have thought that 8 hours of tuition later I would have a full A licence: that speaks volumes in itself! From the very first day Davy had confidence in me and had me confidently riding one of his bikes a couple of hours into the CBT. A couple of lessons in November seen to it that I had module 1 over then a break of 3 months for Winter. Davy contacted me on Wednesday of last week to say that my bike was back on the road after a service and with the next available test date the following Tuesday I thought he was mad to suggest we go for it with a couple of sessions in between. After the first session I knew I was in with a good chance of passing. Everything Davy said made sense and stuck with me. The way in which he presented situations was just right and I'm sure it will stick with me for a long time. Now I have my licence the only problem I have is to decide which bike first? Cheers Learn 2 Ride!" 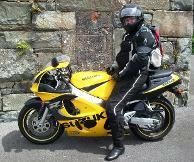 "Would just like to thank Dave from Learn 2 Ride for his expert tutoring. Despite being 41yrs old and friends and family thought I was over the hill to even get on a bike for the first time, we went from CBT to full test in weeks! 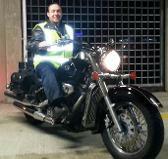 Had my first run out on my 800 Suzuki Intruder today. It was fantastic! Thank you Dave!" "From the initial call Learn2Ride motorcycle training was very helpful; straight to the point in what was expected of me to pass my test and how we would go about it. The way that Learn2Ride teaches is fantastic with the patience of a saint, boosted my confidence every lesson, never let me down and was always on time. This all led to me passing my test first time. 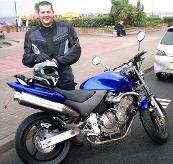 A top- class riding instructor, always there for you and willing to help you learn. I can’t fault Learn2Ride at all and I would recommend Learn2Ride to anyone. 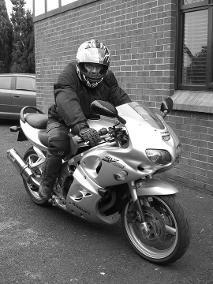 I’d like to thank you again for all your help and look forward to training further with Learn2Ride Derry/ Londonderry." "If you’re looking to learn and pass your test first time, he's "The Man" for the job. Learn2Ride motorcycle training is a top instructor, with a no-nonsense approach if you're looking to learn how to ride a bike. Now I class him, not only as an ex-instructor, but also a very good friend. When I bought my bike before my test he even accompanied me to Belfast, took it for a test-ride, haggled a fantastic price and rode it home for me -which I fully appreciate, cheers! I have been introduced to ex-pupils who are in the same boat as me, so we arrange ride-outs now together, including the NW200! Cheers for everything!" 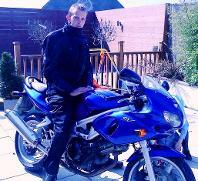 "I just recently passed my test all thanks to Learn2Ride Motorcycle Training. Learn2Ride Derry/ Londonderry is as good an instructor you'll ever meet (even my examiner said my riding was as close to perfect as you could get!) Nothing’s too much trouble either: honest, friendly and professional- ticks all the right boxes! Learn2Ride delivered top - quality training to ensure I passed all my tests: from theory right through to the final road test. 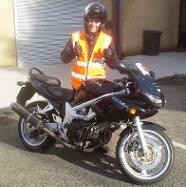 A top - class instructor; I would recommend him to anyone who wants to learn2ride!" 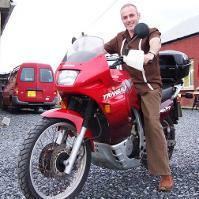 "Learn2Ride motorcycle training Derry/ Londonderry is professional, knowledgeable & uses a great set-up. Your instructor's in constant communication with you when you're riding: very reassuring for a new rider, as he can tell you immediately if something is wrong. Learn2Ride is always giving you handy tips to remember too, making riding a bike not only easier, but also safer! I dunno if I would have passed with another instructor- or at least I would have had to take far more lessons with someone else and it would've cost a lot more. Looking forward to doing further training with Learn2Ride next." 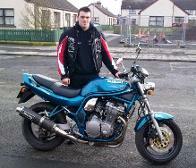 "I passed my motorcycle test first time today thanks to Learn2Ride motorcycle training. The instruction I received was absolutely brilliant; I only had three or four lessons and sailed through, from theory & manoeuvres to my road test. The videos really helped, as well as a thorough review of each lesson. Friendly, professional and helpful. Brilliant! Thanks, I couldn't have done it without you!" "I passed my bike test first time and I'm really pleased! I couldn't have received better instruction because I had a near-perfect test. My instructor is excellent at his job and he doesn't settle for anything but the best -after a lesson or two it rubs off; which is probably why he has a 100% pass-rate so far. If you want to learn2ride, do not look anywhere else! Cheers, keep up the good work horse!" "I had my own 125 but I needed some lessons to pass the manoeuvres and road tests- and I did: thanks to Learn2Ride Motorcycle Training. Now I ride a CBR 600, looking forward to joining the IAM, doing my ROSPA test- even becoming an instructor if I can in the future. All thanks to Learn 2 Ride." "Today’s a day I'll never forget: the day I passed my motorcycle test first time! I'd like to give a huge (and I cannot place enough emphasis on this) thanks to Learn2Ride, whose dedication and professionalism was unflinching at all times. When you get off the bike, the lesson doesn't end there: your instructor also takes the time to answer your questions and any concerns you may have. Great after care service! Not only did I learn how to ride a motorcycle, I also made a new friend for life: an excellent and top notch instructor. "I had no riding experience at all and, within a few lessons, I was passing my various tests. Not only was my instructor patient and flexible, but he promoted confidence and helped me ride properly. The materials he provided (DVDs and books) were excellent and complimented his instruction. A fantastic teacher and a great person and now, thanks to Learn2Ride, I have an absolute dream of a bike! My instructor was great with the advice and patience against my over-eagerness and desperate desires! Now I have a sweet ride thanks to the advice too! Thanks Learn2Ride!" "After many, many years of collecting, restoring and riding old Vespa and Lambretta scooters, I decided it was time I added one of my all time favourite bikes to my stable: a BMW R80 RT - something special about these flat twin boxer engined bikes. So the next step was to upgrade my licence and, finally after so many years, to do my test. Should have done it in the mid 1980's but didn't. I passed my test first time under the watchful gaze of Learn2Ride: Davy was a star, patient, focussed and keen that every student has the best learning experience- both on road and off road- and attains a skill level that will not only pass the test but will create a foundation of understanding that can be built upon through further on road training and personal development. I had the BMW bought several weeks before the test date: Davy instills confidence in his students and I knew I would pass. I am now driving another BMW: an R1100RT which has brought many smiles of enjoyment and recently passed my BIKESAFE assessment on that in June 2012. Do it! Well worth the effort and reduced my insurance premium! 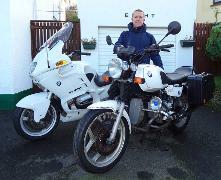 Within the year I hope to upgrade again to the magnificent all round BMW tourer, the R1200RT. All only possible with a focussed approach to learning, riding at my best all the time, reading the road and continually assessing other road users intentions. Thanks Davy for the advice, guidance and the key to a new life of 2 wheeled ownership. My fleet of Beemers is growing! Remember! Don't meet people by accident. Keep the Faith, Joe." “I’d been talking about doing my bike lessons for years. My friend had recently passed his test with Learn2Ride. Having no experience whatsoever I wasn’t sure what to expect. Learn2Ride provided me with the gear and, even after the first hour, I was learning my slow manoeuvres and riding around at 30mph. I was obviously very pleased with myself! Due to my work commitments in Dublin I was only able to take lessons at the weekend. I loved my lessons and looked forward to them all week long. At the beginning I was out on Saturday mornings: my instructor understood my position at that time. When most other instructors were probably lying in bed, there was Learn2Ride out with me- it was nice to know that my instructor was as committed as I was. Around this time, when I knew I was into biking, I was thinking about buying my own gear. As this was all new to me, Learn2Ride was able to advise me as to what kind of gear I should be looking for, as well as what to stay away from. My work in Dublin finished and I returned home. I was then able to take lessons during the week. I had noticed that I was beginning to get a bit rusty after a week away from the bike, so I aimed to take 2 to 3 lessons per week to keep everything fresh in my head. My instructor was great and could usually schedule a lesson as and when I wanted to go out. Having passed the theory and hazard perception, I then went onto nail the Manoeuvres test- I didn’t get any faults at all! I was delighted. Learn2Ride then stepped up the training. We still kept doing the 2-3 per week, but the training got a lot more serious. The idea of riding on the road to me seemed very daunting but my instructor had my back at all times. Knowing he was behind me at all times in constant radio contact was very reassuring. I learned all about life-savers and how important they are. We then began ‘mock tests’ where Learn2Ride treats you under the same conditions as the real test examiner. I have to admit that I was making stupid mistakes but my instructor’s motto was, “Make the mistakes now, learn from them and get rid of them”. At this time I started using the Learn2Ride website. I found the videos invaluable. Even the night before my road test my instructor was texting me, telling me to read the “Do’s & Don’ts”, as well as getting a good look at the “Show Me/ Tell Me” questions. Sure thing I passed the test with one minor fault. As near to perfect as you’ll get! I got my SV650-S a few weeks ago and my instructor accompanied me to view it and gave it a good look over. This was priceless to me. What was I going to do? Kick the tyres? If you think about it, if you don’t know any bikers, just how do you know what you’re buying? Thanks for that lad 'cos I love my bike. Learn2Ride is able to talk to you on a one to one level, gives feedback constructively and doesn’t make you feel like a prat when you make mistakes. The training methods obviously work very well when you look at just how many Learn2Ride pupils are passing tests first time. Courteous and professional at all times. Although I passed the test last week, I am still in daily contact with my instructor. I have been introduced to several past pupils and have been invited on several ride-outs with my new friends. I am now hoping to do some advanced training in the very near future. Although I have passed the motorcycle test, I believe that I still have plenty more to learn yet. I would recommend “Learn 2 Ride” to anybody -in fact it would be my pleasure. (This may seem a bit long-winded but I wanted to give you the time that you gave me). Cheers for everything horse, Ronnie. "After 22 years I finally took the plunge. I was under no illusions about my riding. I knew I could ride but I also knew that I had years of reinforcing some very bad riding habits. I'm sure my instructor would have preferred a clean slate, a young person with minimal experience, someone who could be taught from scratch. However, he never lost his patience with me and always found something praiseworthy about my riding. All whilst chipping doggedly away at my rough edges. I can't thank Learn2Ride motorcycle training enough for the professionalism, good humour and inexhaustable patience- I certainly wouldn't have stuck it out with anyone less. Beyond simply studying to pass "a test", I intend to hang on to Learn2Ride’s advice on how to stay in one piece and I’ll also be taking further training (no prizes for guessing with whom). The on-line facilities available from Learn To Ride are fantastic and are an invaluable supplement to the on-road training. Everything is available to make the process of passing the theory, manoeuvres and on-road practical tests as safe, painless and straightforward as possible. I can't recommend Learn 2 Ride enough to anyone out there who requires motorcycle training, and I can't thank my instructor enough for setting me off so well equipped on my next exciting stage of the adventure that is BIKING.